Yes, I did promise to report on my participation in the ‘Goldenes Brett’ award which took place in Vienna and Hamburg on 23/11/2017. I had been asked to come to Vienna and do the laudation for the life-time achievement in producing ridiculous nonsense. This year, the award went to the ‘DEUTSCHER ZENTRALVEREIN HOMOEOPATHISCHER AERZTE’ (DZVhÄ), the German Central Society of Homoeopathic Doctors. In my short speech, I pointed out that this group is a deserving recipient of this prestigious negative award. Founded in 1829, the DZVhÄ is a lobby-group aimed at promoting homeopathy where and how they can. It is partly responsible for the fact that homeopathy is still highly popular in Germany, and that many German consumers seem to think that homeopathy is an evidence-based therapy. Cornelia Bajic, the current president of this organisation stated on her website that “Homöopathie hilft bei allen Krankheiten, die keiner chirurgischen oder intensivmedizinischen Behandlung bedürfen“ (homeopathy helps with all diseases which do not need surgical or intensive care), advice that, in my view, has the potential to kill millions. The DZVhÄ also sponsors the publication of a large range of books such as ‘Was kann die Homoeopathie bei Krebs’ (What can homeopathy do for cancer?). This should be a very short volume consisting of just one page with just one word: NOTHING. But, in fact, it provides all sorts of therapeutic claims that are not supported by evidence and might seriously harm those cancer patients who take it seriously. But the DZVhÄ does much, much more than just promotion. For instance it organises annual ‘scientific’ conferences – I have mentioned two of them previously here, here and here. In recent years one of its main activity must have been the defamation of certain critics of homeopathy. For instance, they supported Claus Fritzsche in his activities to defame me and others. And recently, they attacked Natalie Grams for her criticism of homeopathy. Only a few days ago, Cornelia Bajic attacked doctor Gram’s new book – embarrassingly, Bajic then had to admit that she had not even read the new book! The master-stroke of the DZVhÄ , in my opinion, was the fact that they supported the 4 homeopathic doctors who went to Liberia during the Ebola crisis wanting to treat Ebola patients with homeopathy. At the time Bajic stated that “Unsere Erfahrung aus der Behandlung anderer Epidemien in der Geschichte der Medizin lässt den Schluss zu, dass eine homöopathische Behandlung die Sterblichkeitsrate der Ebola-Patienten signifikant verringern könnte” (Our experience with other epidemics in the history of medicine allows the conclusion that homeopathic treatment might significantly reduce the mortality of Ebola patients). As I said: the DZVhÄ are a well-deserving winner of this award! Malaria is an infection caused by protozoa usually transmitted via mosquito bites. Malaria is an important disease for homeopaths because of Hahnemann’s quinine experiment: it made him postulate his ‘like cures like’ theory. Today, many experts assume that Hahnemann misinterpreted the results of this experience. Yet most homeopaths are still convinced that potentised cinchona bark is an effective prophylaxis against malaria. Some homeopathic pharmacies still offer homeopathic immunisations against the infection. In several cases, this has caused people who believed to be protected fall ill with the infection. …In a laboratory test set-up, an ultra-dilute homoeopathic preparation was prepared by extracting samples from Plasmodium falciparum, the parasite that causes malaria. The homoeopathic preparation was used in-vitro to check if it had anti-malarial activity… “Homoeopathy has been criticised for lack of scientific evidence. This lab-model test established that a medicine developed from an organism that causes malaria can be used to treat the infection,” said Dr Rajesh Shah, principal investigator in the research. The inventor has developed malaria nosode and has subjected it for evaluation of antimalarial activity in vitro assay along with few other homeopathy preparations. The potential antimalarial activity of the Malaria nosode, Malaria officinalis and China officinalis was evaluated by β-Hematin Formation Assay. The hemozoin content was determined by measuring the absorbance at 400 nm. The results were recorded as % inhibition of heme crystallization compared to negative control (DMSO) Malaria nosode, Malaria officinalis and China officinalis exhibited inhibition of hemozoin and the inhibition was greater than the positive control Chloroquine diphosphate used in the study. The study has shown anti-disease activity of an ultra-dilute (potentized) homeopathic preparation. The Malaria nosode prepared by potentizing Plasmodium falciparum organisms has demonstrated antimalarial activity, which supports the basic principle behind homeopathy, the law of similar. Now I am just as puzzled! Why would any responsible scientist advocate running a ‘full-fledged clinical trial’ on the basis of such flimsy and implausible findings? Would that not be highly unethical? Would one not do further in-vitro tests? Then perhaps some animal studies? Followed by first studies in humans? Followed perhaps by a small pilot study? And, if all these have generated positive results, eventually a proper clinical trial? The answers to all these questions is YES. But not in homeopathy, it seems! There has been a flurry of legal actions against manufacturers of homeopathic products (mostly) in the US. Many of these cases seem to settle out of court which means that we hardly hear about them. Of those that go to court, most are being won by the plaintiffs, but unfortunately some are also lost. The recent case of Allen v. Hyland’s, Inc. is such an incidence. The US lawyer Robert G Knaier has analysed this case in detail and recently published a paper about it. The article is fascinating and well worth reading in full. … How did a jury decide that Hyland’s did not misrepresent the efficacy of its products? Surely, the court’s instruction that Hyland’s would be liable only if the plaintiffs proved homeopathy “cannot work” contributed to the result. So long as defense experts were able to propose ways that homeopathy might work, the jury was left with the difficult decision—for laypersons, in any event—of rejecting that testimony. But should the jury ever have been put in the position of having to make that choice? Should the defense experts ever have been allowed to testify? Had the court in Allen granted the plaintiffs’ motions to exclude those experts, the case likely would have ended with a settlement. Without the ability to put on evidence supporting its products, Hyland’s may very well have recognized that it had no realistic chance of prevailing at trial. But the court denied those motions. In this respect, the court erred. There can be little doubt that expert testimony in support of the efficacy of homeopathy fails tests of admissibility. Consider the Federal Rules of Evidence and the factors that courts should evaluate under Daubert and its progeny. Is testimony that homeopathy is effective “the product of reliable principles and methods”? Finally, the defense of homeopathy glaringly fails to “account for obvious alternative explanations.” Do people who take homeopathic remedies sometimes feel better? Of course they do. But studies of homeopathy have overwhelmingly concluded that the reason for this is not that homeopathy is actually efficacious, but rather because it is “the ideal placebo.” It is cheap. It has no side effects (unless, as discussed below, it is adulterated). And practitioners spend substantial time with their “patients,” thus encouraging psychosomatic effects. In the end, advocates of homeopathy may have little to stand on other than that many people—including some “experts” who would gladly be paid to testify—inexplicably seem to believe that it works. But this will not do. That homeopathy has many believers does not validate it as a scientifically sound “field of expertise,” or color it, against nearly 200 years of evidence to the contrary, as one “known to reach reliable results for the type of opinion the expert would give.” As our Supreme Court perhaps most saliently observed, “general acceptance” of a principle cannot “help show that an expert’s testimony is reliable where the discipline itself lacks reliability.” As the Court explained, general acceptance of “principles of astrology or necromancy,” for example, would not transform those subjects into appropriately reliable subjects of expert testimony. The Court could easily have added homeopathy to that list. Thus, in allowing the jury to receive testimony about the principles of homeopathy—not as a matter of historic curiosity, but as a matter of scientific validity—the Allen court arguably abdicated its gatekeeping responsibility to screen out unreliable expert testimony. By permitting “experts” to testify in favor of a field the bases of which defy basic principles of biology, chemistry, and physics — indeed, in some respects “basic logical principles” — the “integrity and fairness of the trial process” was compromised. I fully agree with Knaier. Allowing the ‘flat earth society’ to present to a court their views about the shape of our planet, while instructing the jury that they must accept them as ‘evidence’ (unless the plaintiff can prove it to be untrue) cannot be the right way forward. In fact, it is a method of preventing progress. Following this logic, I cannot imagine the proponents of any absurdity – however ridiculous – to not be victorious in court. Several national organisations of sceptics give annual awards to people and institutions who do outstanding work and those who do the opposite. Later this week, I will travel to Vienna, for instance, to give away one of this year’s ‘GOLDENES BRETT’, a negative prize for the most outrageous BS of 2017. Such things are good fun but also important tools in fighting nonsense. I probably will report about it when I am back. Earlier this year, the UK sceptics awarded Gwyneth Paltrow with the well-earned RUSTY RAZOR. The ‘Bent Spoon’ is a similar type of prize. It has just been awarded by the Australian Skeptics to the proponent of the most preposterous piece of pseudoscientific or paranormal piffle of the year. Past winners have included Pete ’Paleo’ Evans, the CSIRO’s head Larry Marshall, the ABC, the Pharmacy Guild of Australia, the University of Wollongong, and a psychic dentist. CONCLUSION: In our study of acupuncture for menopausal hot flashes, higher expectancy after the first treatment did not predict better treatment outcomes. Future research may focus on other determinants of outcomes in acupuncture such as therapist attention. The relationship between smoking and hot flashes is poorly understood and needs further exploration. Conclusion: There is a clear need to understand breast cancer survivors’ needs for physical and psychological support as they aim to regain control over their life through their experience of illness. More studies are needed to measure and evaluate these outcomes and to help identify breast cancer survivors’ healthcare seeking behaviours, during and after the acute treatment stage that addresses their physical, emotional, and spiritual needs. These results aim to inform future research design and evaluate and develop support services that are patient-centred and focus on whole health outcomes, shared decision-making, and quality of life. CONCLUSION: These results are important for healthcare providers as they work with patients to identify life experiences, including ‘loss/potential loss’ and ‘the need for preservation’, that have personal significance. Some patients may realize that ‘enough is enough’; something needs to change. These intrinsic motivating factors may also be the impetus for eventual recovery for some individuals. CONCLUSIONS: 16 weeks of Bikram yoga significantly improved perceived stress, general self-efficacy and HRQoL in sedentary, stressed adults. Future research should consider ways to optimise adherence, and should investigate effects of Bikram yoga intervention in other populations at risk for stress-related illness. CONCLUSIONS: These findings suggest that long-term acupuncture treatment has targeted regulatory effects on multiple brain regions in rats with Alzheimer’s disease. The ‘Bent Spoon’ was awarded mostly, I think, because of the persistently misleading claims made on the websites of the NICM. Go and have a look – I am sure you will agree: they are highly deserving winners. In my opinion, these awards deserve our support. They are an effective means of fighting charlatans and promoting progress. They should be publicised much more widely. This is too wonderful (I found it on Twitter where it was posted by ‘Doctors Leonard and Michael Valentine’, chiropractors at Valentine Chiropractic in Fountain Valley, CA.) – I have to show it to you. Chiros as prescribers of medicines? 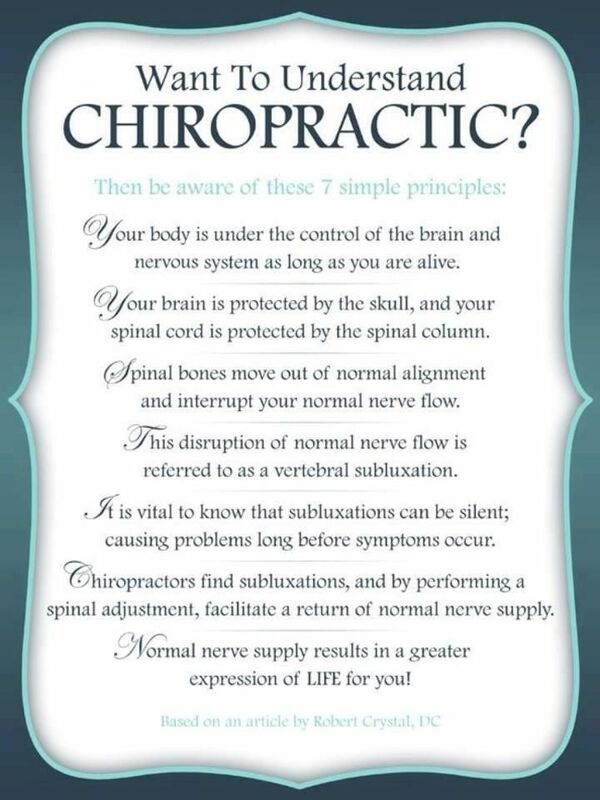 Chiropractors are often proud of offering drugless treatments to their patients. Many even have an outright aversion against drugs which goes back to their founding father, DD Palmer, who disapproved of pharmaceuticals. On this background it seems surprising that, today, some chiropractors lobby hard to get prescription rights. A legislative proposal that would allow Wisconsin chiropractors to prescribe narcotics has divided those in the profession and pitted those of them who support the idea against medical doctors. At a hearing on the bill Tuesday, representatives form the Wisconsin Chiropractic Association said back pain is a common reason people go see a medical doctor, but they argue that chiropractors with additional training could be helping those patients instead. Under the bill, chiropractors would be able to write prescriptions for painkillers and administer anesthesia under the direction of a physician. Expanding the scope of practice, the WCA said, would give patients with pain faster relief when primary care physicians are busy. The Wisconsin Medical Society, though, has come out against the proposal. “This expands to something not seen anywhere else in the country,” said Don Dexter, chief medical officer for WMS. Meanwhile, another chiropractic group, the Chiropractic Society of Wisconsin, is also skeptical. “We contend there is no public need or demand … to allow chiropractors to prescribe drugs,” said Dean Shepherd, the group’s president. However, some practicing chiropractors like Jason Mackey, with Leutke Storm Mackey Chiropractic in Madison, argue that medical fields evolve: “We have always had change throughout the course of our professsion.” Mackey said there has been pushback with previous changes, like using X-ray or certain therapies and recommending vitamins. Patients might be put at risk by chiropractors who are less than competent in prescribing medicines. More unnecessary NAISDs would be prescribed. The vast majority of the drugs in question is already available OTC. Prescribing rights would give more legitimacy to a profession that arguably does not deserve it. Chiropractors would then continue their lobby work and soon demand the prescription rights to be extended to other classes of drugs. Considering the chiropractors’ arguments for prescribing rights stated in the above article, I see little reason to change my mind.